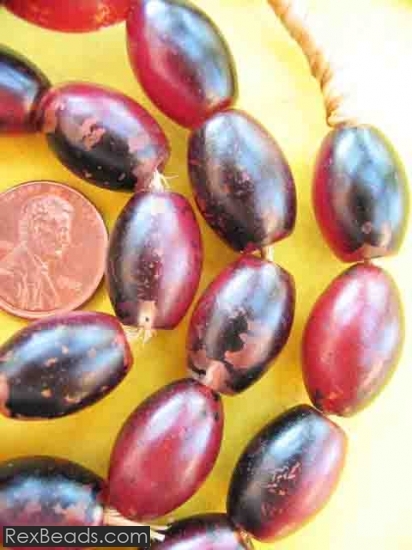 Olumbo beads are old Czech beads made from glass which were popularly worn by the Nigerian people at the height of African trade in the past centuries. 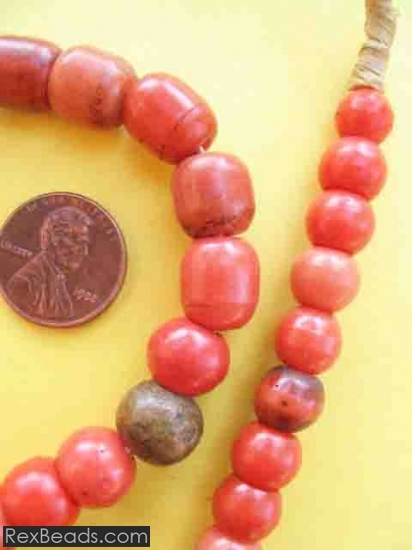 Olumbo beads were part of the selection of African trade beads which were used for purposes of trade by African kings and chiefs while trading in slaves, ivory and other goods with western sea faring merchants as far back as the late eighteenth century. 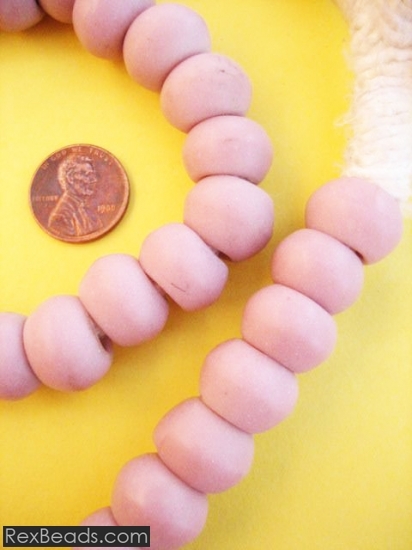 Today, Olumbo beads can be strung on raffia – bead to bead, to create beautiful bracelets and necklaces for the discerning beaded jewelry lover. 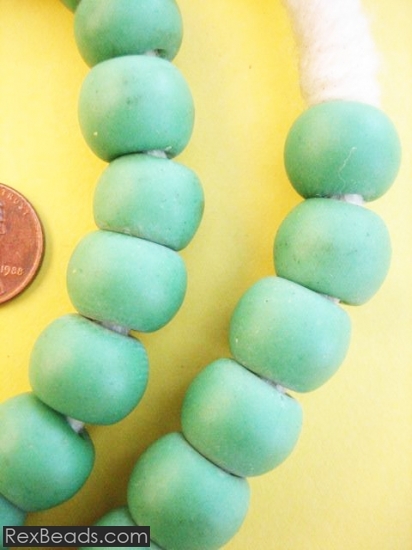 The beads are usually available in attractive colors such as pink and various other shades of red, but can be found in green.